Fast & Furious 9 is getting a new writer. Chris Morgan, who has penned every single one of the movies in the franchise since The Fast and the Furious: Tokyo Drift, won't be taking on the next installment of Universal's cash cow. Instead, it will be Daniel Casey, who is a relative newcomer, taking a crack at it. This makes for a big change, as Morgan has been a consistent cog in the machine ever since these movies started becoming megahits at the box office. But he's not leaving the Fast and Furious world entirely. Chris Morgan is taking over writing duties on Dwayne Johnson's upcoming Fast and Furious spin-off, which reteams him with Jason Statham. David Leitch (Deadpool 2, John Wick) was recently tapped to direct the movie, which is set to arrive in theaters on August 2, 2019, after recently being bumped back a week by Paramount. It makes sense to have Morgan, who knows this universe arguably better than anyone, lend his talents to the Hobbs spin-off, which is possibly on less sure footing, since it won't have the full cast of characters that audiences around the world have come to know and love. But it does have The Rock, and that helps. As for Daniel Casey, he may not have the same impressive resume that Chris Morgan has, but getting some new ideas may be just what The Fast and the Furious needs heading into its ninth movie. Plus, they will have a familiar director in the form of Justin Lin, who helmed Tokyo Drift, Fast and Furious, Fast Five and Fast and Furious 6. He's been tapped to direct both Fast and Furious 9 and the already announced tenth installment. Daniel Casey has the sci-fi thriller Kin coming out later this year, which is being distributed by Lionsgate. But according to a new report, it was his work on the script The Heavy that earned him this gig. The Heavy is being produced by J.J. Abrams and his company Bad Robot, who have put it on the fast track. It's described as a subversion of the superhero genre and, by early accounts of those who have read the script, it's impressive. So much so that Universal is entrusting him with what is by far their most bankable franchise. No pressure. In addition to Vin Diesel, Tyrese Gibson, Ludacris and the rest of the usual suspects, the upcoming ninth movie in the series will also bring back Jordana Brewster as Mia, who plays the wife of Brian, who was played by the late Paul Walker. Mia was given a nice send off in Furious 7, but they've decided to bring her back for at least one more go. 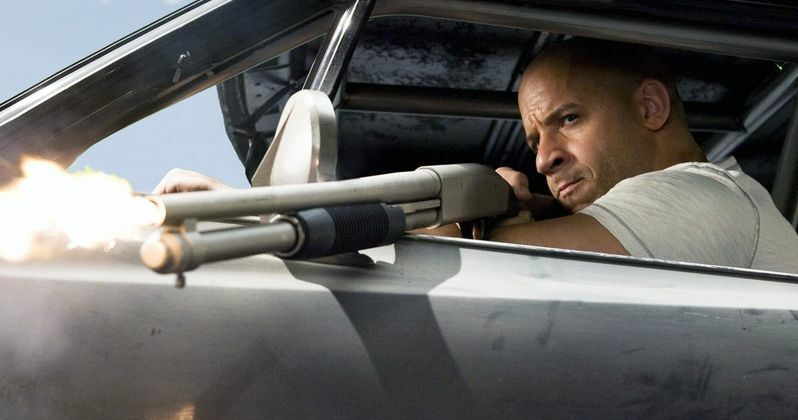 Fast and Furious 9 is currently set to arrive in theaters on April 20, 2020, and, based on some recent comments made by Diesel, we may be seeing the gang head to Africa this time around. That may be up for Daniel Casey to decide now though. This news comes to us courtesy of The Hollywood Reporter. Ruby Rose to Reunite with Vin Diesel in Fast and Furious 9?